Edited by David Platt, Daniel L. Akin, and Tony Merida, this new commentary series, projected to be 48 volumes, takes a Christ-centered approach to expositing each book of the Bible. Rather than a verse-by-verse approach, the authors have crafted chapters that explain and apply key passages in their assigned Bible books. Readers will learn to see Christ in all aspects of Scripture, and they will be encouraged by the devotional nature of each exposition.Exalting Jesus in James is written by David Platt. The series is projected to be 48 volumes. Exalting Jesus In James by Daniel L. Akin was published by Holman Reference in September 2014 and is our 65796th best seller. The ISBN for Exalting Jesus In James is 9780805496574. 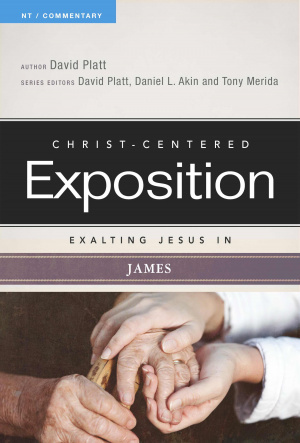 Be the first to review Exalting Jesus In James! Got a question? No problem! Just click here to ask us about Exalting Jesus In James.